A lovely young nurse must decide: settle for a secure marriage or fight for the man she loves. She saw her friend’s happiness destroyed by love. Sherry Allen’s roommate, Nurse Melinda Collins, spent her nights sobbing and her days drinking — pursued by a shameful secret, by the inescapable consequences of a moment of heedless passion. It was only when the unhappy girl attempted a desperate way out of her trouble that Sherry learned the cause of her friend’s anguish was a man. it was then that Sherry realized she, too, must face up to a crisis of the heart. 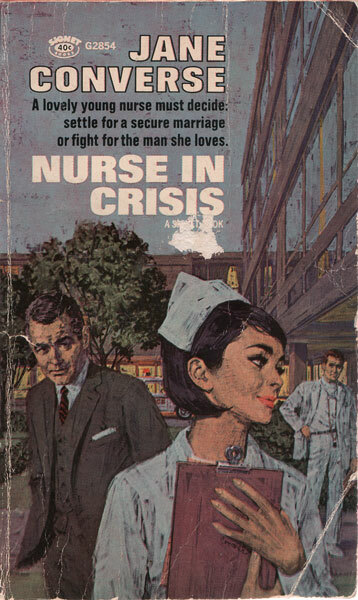 Before it was too late, the young nurse had to choose: settle for security…or, like Melinda, take a reckless gamble on love.